Has the Alphabet Network won the battle yet lost the war? Is the Battle of the Network Stars TV show cancelled or renewed for a second season on ABC? The television vulture is watching all the latest cancellation and renewal news, so this page is the place to track the status of Battle of the Network Stars season two. Bookmark it, or subscribe for the latest updates. Remember, the television vulture is watching your shows. Are you? 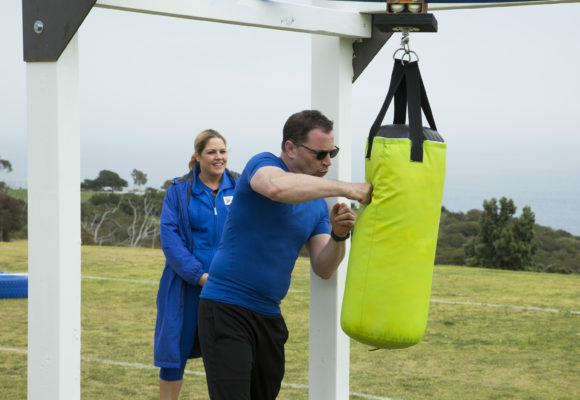 An athletic competition on the ABC television network, Battle of the Network Stars pits teams of celebrities against each other in various athletic games. Mike Greenberg and Joe Tessitore host the TV series, with Cassidy Hubbarth and Cari Champion serving as sideline reporters, and DeMarcus Ware and Ronda Rousey serving as team captains. Typical events include tug of war, archery, kayak relays, an obstacle course, and a dunk tank. Celebrities of both classic and contemporary TV shows are teamed together based on themes that tie into their past or present roles. The first season of Battle of the Network Stars averaged a 0.67 rating in the 18-49 demographic and 2.74 million viewers. Find out how Battle of the Network Stars stacks up against other ABC TV shows. As of April 19, 2019, Battle of the Network Stars has not been cancelled or renewed for a second season. Stay tuned for further updates. While I would like to believe that Battle of the Network Stars will be renewed for a second season, the ratings have been falling quite low. Sadly, I suspect this fun series will be cancelled. Subscribe for free updates on any Battle of the Network Stars cancellation or renewal news. Find more Battle of the Network Stars TV series news or other ABC TV show news. What do you think? Do you hope the Battle of the Network Stars TV show will be renewed for a second season? How would you feel if ABC cancelled this TV series, instead?